You guys, we came up with the idea of doing a Disney trip the night of my birthday. We booked it the next day and were on a plane a couple weeks later. That's crazy for us because we never do last minute trips! I'm a planner. 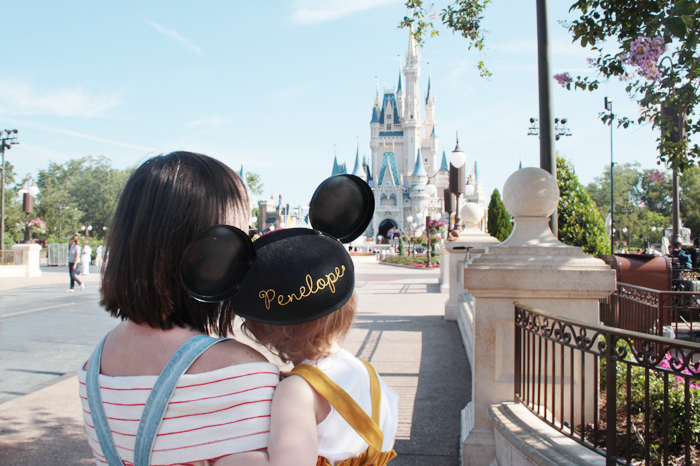 But we wanted to squeeze in a trip before Penny turned two, so we could still fly her for free on our laps. Anyway, I wanted to share some photos from the trip! Surprisingly, I didn't take nearly as many photos as I though I would or that I normally do. I guess I was having too much fun to even think about pulling out my camera. Oh well! 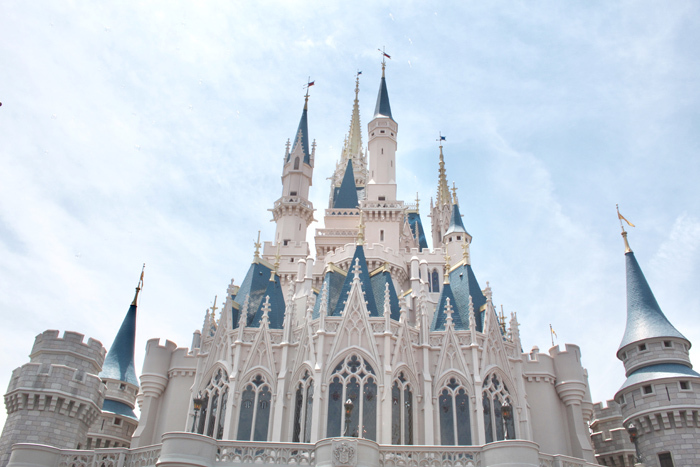 We only had one day to spend at Disney, so we chose Magic Kingdom since it is the most toddler friendly out of all the parks. You guys, Penny did SO good and loved every minute of it. 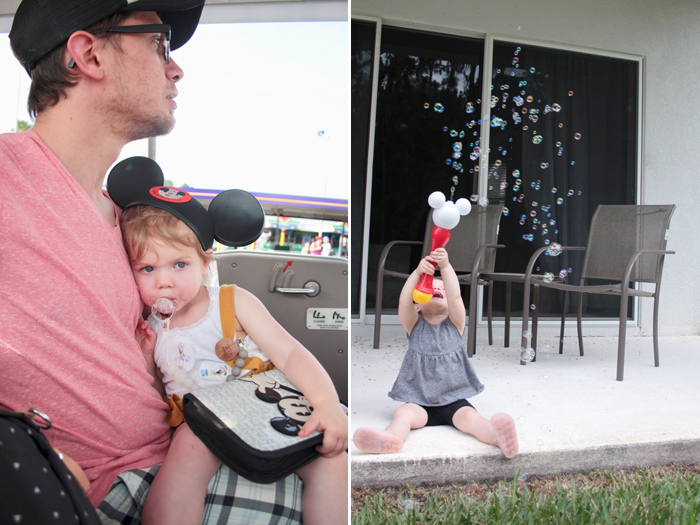 I'd been to Disney World when I was younger, but this trip was so much more fun watching her enjoy it. 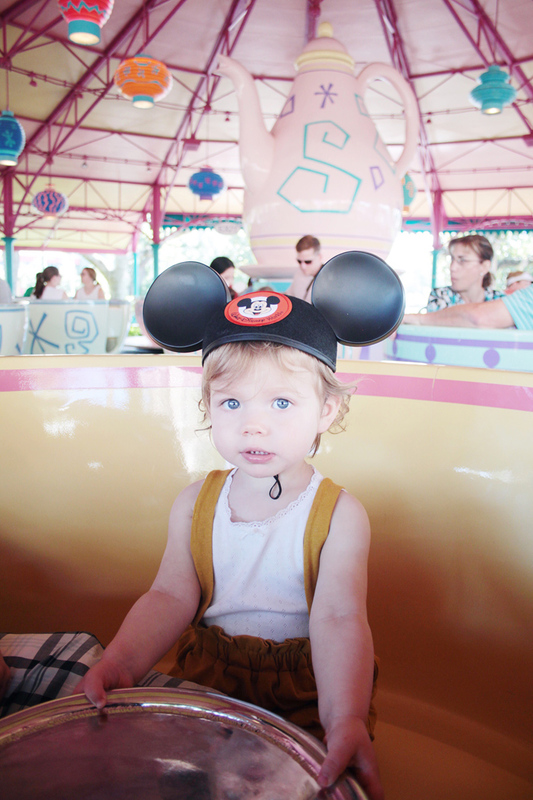 We rode the teacups over and over and over and she thought it was the very best thing every time. 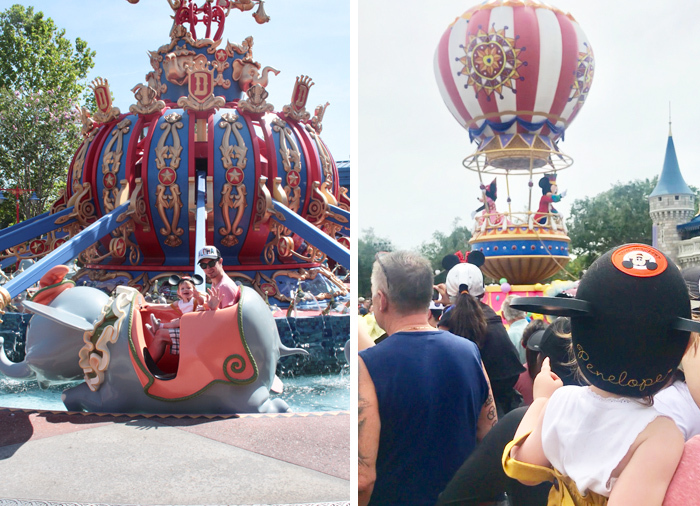 She also loved the Dumbo ride and all the singing fish on The Little Mermaid ride! Turns out she likes seeing all the characters from afar, but meeting them up close was disaster haha (see the photo below with poor Goofy). 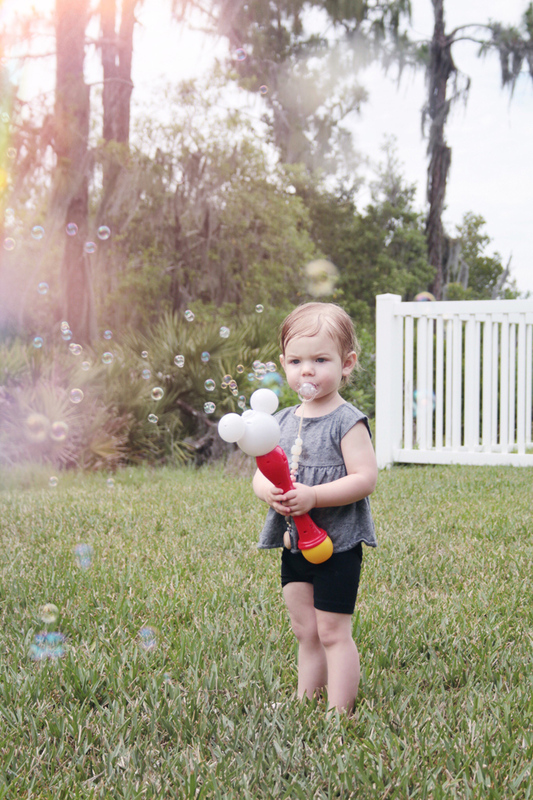 She took a nice long stroller nap while we sat near the castle and listened to one of the shows, and she picked out a Mickey bubble wand and kid's stationary kit as her souvenirs. And that hat. That freakin adorable hat that she kept on her head THE WHOLE DAY. We seriously did not want to leave at the end of the day. I can't wait to take her back again (and take more photos next time haha). We debated what to do the next day. 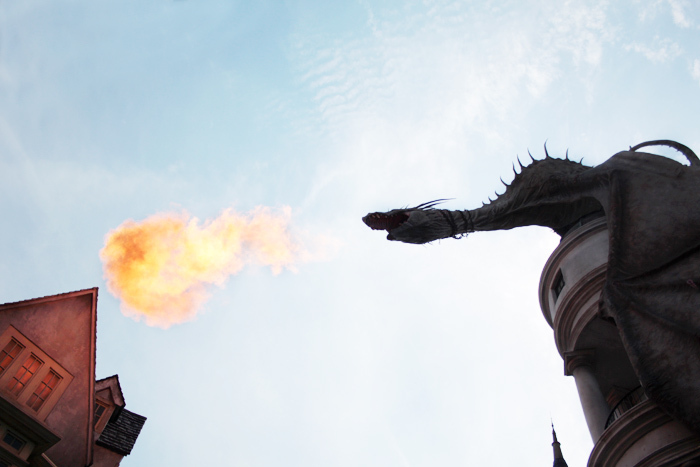 Should we do Animal Kingdom? Harry Potter World? 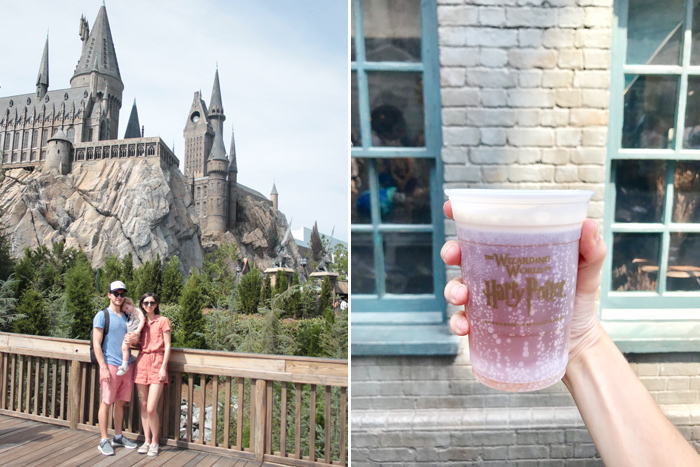 Ultimately we decided to do the park hopper pass to Universal Studios becauseas a diehard HP fan, I can't be in Orlando and NOT visit Harry Potter World. We got engaged there 7 years ago when it was only one side of the park, and I've been dying to go back. 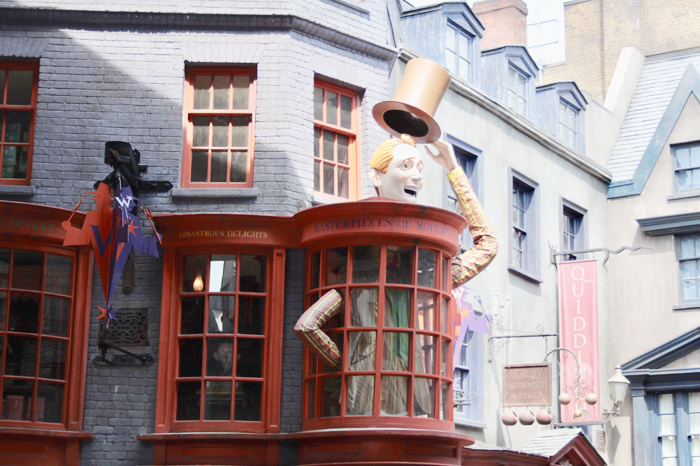 This time we got to finally see the Diagon Alley side and ride the Hogwarts Express. I highly recommend it to any big Harry Potter fan. It is seriously so magical. 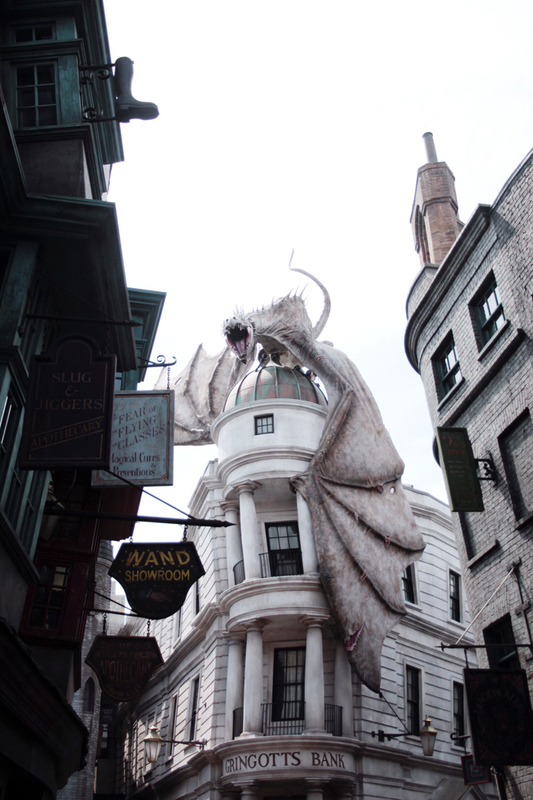 I didn't think it was possibly, but the Diagon Alley side is actually even cooler than the Hogsmead side. BUT. While I'm happy we did it and I LIVE for that place, Universal isn't exactly small toddler friendly. Unlike Disney, even most of their kids rides have height requirements that someone Penny's size doesn't meet. While she did enjoy her first truly leg and taste of bitterer, there were only 2 rides in Seuss land she could ride. She did enjoy the rope course play area in Jurassic Park though, so that come highly recommended from my almost-2 year old if you ever visit. Like I said, I'm glad we visited this time. But next time (hopefully next year! ), I think we'll concentrate on Disney for Penny!